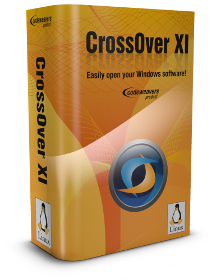 CrossOver allows you to install many popular Windows applications and games on your Linux computer. It is a modified version of the public Wine source tree with various compatibility patches added, more user-friendly configuration tools, and commercial support. CodeWeavers, the company behind CrossOver, employs several Wine developers and contributes code back to the Wine project, although CrossOver itself is a proprietary software. Few days back, CodeWeavers started a campaign 'Flock the Vote' announcing that they will release CrossOver for free if 100,000 Americans pledge to vote in the 2012 Presidential elections. CodeWeavers failed to reach stated goal of 100,000 pledges. However, CEO Jeremy White has now decided to give away CrossOver for free anyway. So CrossOver will be free (12 months support) to all this Halloween, Wednesday, October 31, from 00:00 until 23:59 pm, Central Daylight Time. Just visit this link on October 31, to grab your free copy.